It’s been quite a while since I thought of this boat. I made the drawing 13 years ago (2001) and still haven’t seen anyone use this arrangement. 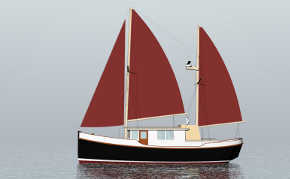 It’s based on the old fishing schooners with main cabin in a trunk aft of the mainmast. 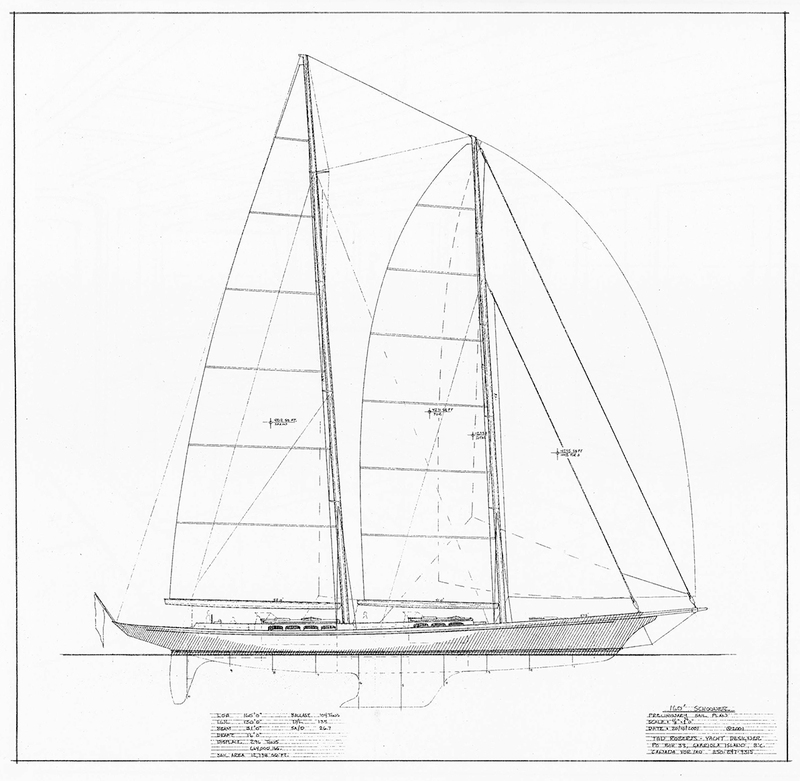 This is a big boat, 160′ on deck and 130′ on the waterline, with 31′ of beam and fixed draft of 16′. 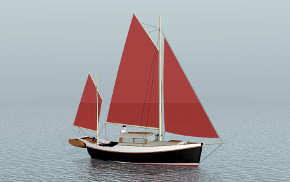 Displacement is 296 long tons with 104 of ballast. Working sail area (100% fore triangle) is 12,700 square feet. 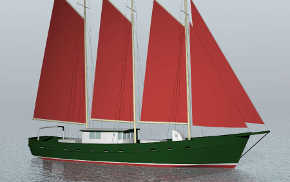 Both masts carry four sets of spreaders. 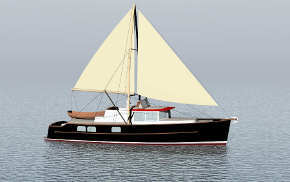 There are two huge cockpits, one aft with twin steering stations and a midships passenger area set up for outdoor dining and surrounded by the captive sheet and halyard winches. Both cockpits offer companionways below. The forward one leads down into the dining saloon with windows on all four sides and round skylight overhead. 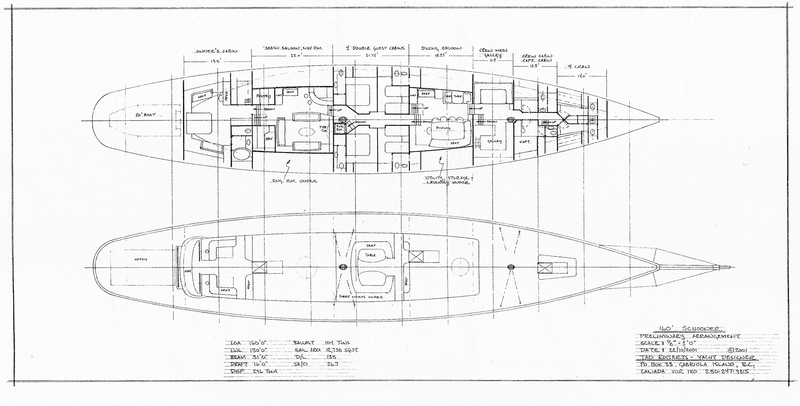 Forward of the dining saloon are the galley and crew areas, with utility area and tanks below the deck saloon. Aft of the dining saloon under the cockpit are four en-suite guest cabins. The aft companionway leads down into the main saloon with navigation and small day pantry in the aft corners. The full width owner’s suite is aft under the aft cockpit. The stern deck opens to a huge under-deck garage large enough for a 20′ hard shore boat. During ocean passages this after-deck will store one or two good sized rubber boats. There is a large full-headroom engine room under the main saloon. Looking back I’m impressed at how well I had the basics figured out. This setup could work quite well.